The cyclonic prefilter is necessary for capturing large quantities of fibers and is normally positioned before the automatic filtering section of residual process powders. 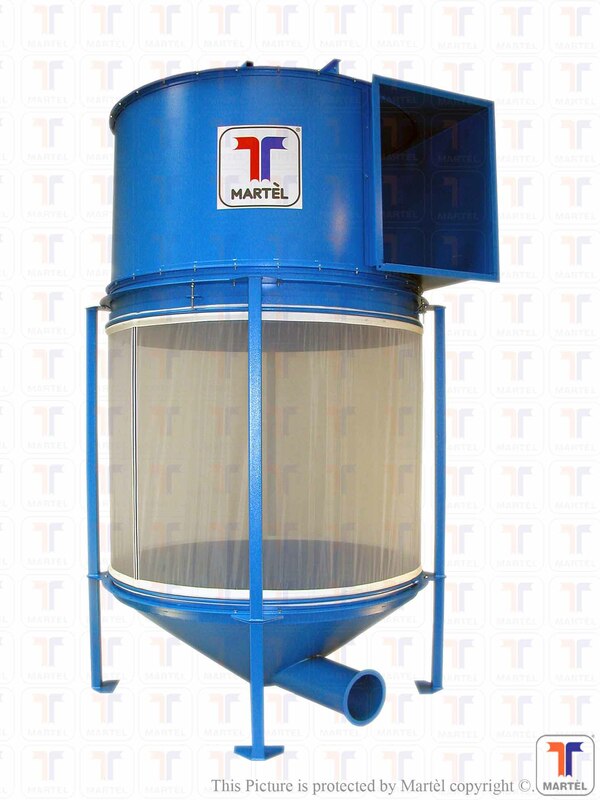 Specially designed as a prefiltration stage in those cases where the air to be filtered contains material that, due to its quantity or type, would clog the final automatic filters. The air, coming from the customer's machinery, enters the upper part of the prefilter and passing through a cyclonic head is channeled into a filtering net that aims to retain the longest fibers and let the finer dust pass through the filters that will be sucked in afterwards by the filter automatic self-cleaning. The longest fibers deposited on the bottom of the cyclonic prefilter are conveyed to a compactor. The main application of this type of product concerns the pre-filtration of air with a high concentration of fibers, a characteristic mainly present in the opening, beating and carding areas of cotton, polyester, acrylic etc. Moreover, thanks to the addition of a compactor, it is possible to collect these fibers and reuse them in the production process, thus reducing waste, thus reducing costs as well. 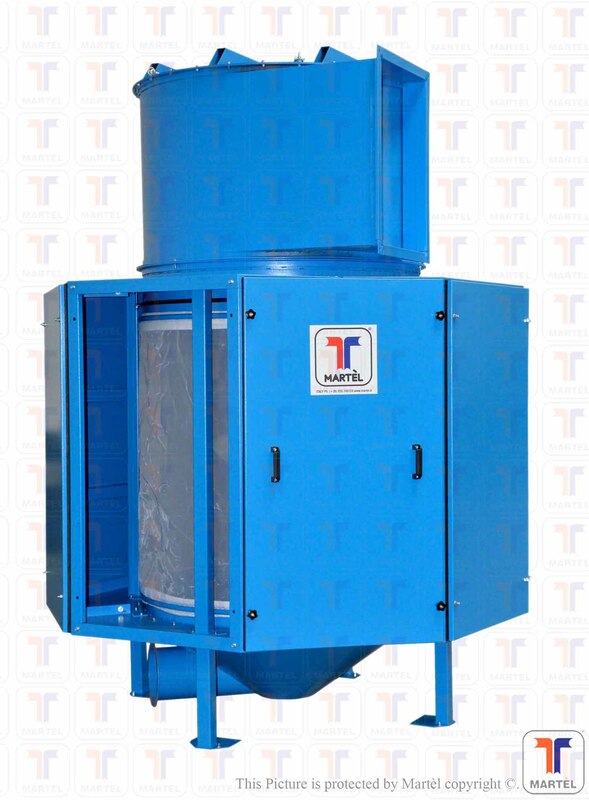 Our cyclonic pre-filter also works in cases where particularly long fibers or sudden accumulations of fibers arrive, for example when intermittent and intermittent aspirations are made on the production machinery. 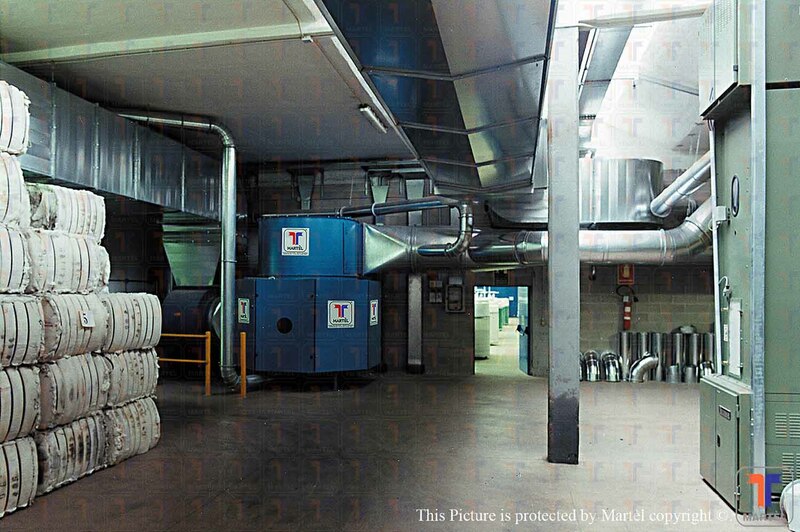 • Closed cyclonic prefilter: the core of the prefilter, consisting of the filtering cylinder, is inserted in a sheet metal structure that creates a closed air collection chamber to be connected to the secondary filtration chamber. •Opened cyclonic prefilter: the prefilter will be placed in a filtration chamber where the final stage filter will also be present.